Ascending to the heights of Canyon Pass, one’s senses elevate. The air is rarified and sweet. 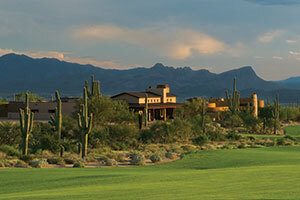 Uncompromised views from an unspoiled high Sonoran Desert canyon panorama in every direction. Custom homesites, averaging close to two acres feature naturally sculpted rock formations, towering saguaros, and hanging cliffs. The Canyon Pass private, 2.5 mile hiking trail climbs up to an elevation of 4,300 feet. The long views seem to go on forever while the near views offer close ups of the region’s abundant flora and fauna. Nearly 75 percent of the 2,000 acre Canyon Pass expanse will remain undisturbed forever assuring each resident rare privacy, whether your home is nestled against canyon walls or perched high up on the mountainside.